A new 80-unit condominium tower at 45 East 22nd street will bring the distance between New York’s two preeminent skylines a bit closer. Ian Bruce Eichner’s, Continuum Company has plans to build the loftiest skyscraper between the Empire State Building (1,250 feet) in Midtown and the Woolworth Building (792 feet) in the Financial District. The project designed by the high-rise pros of Kohn Pedersen Fox Associates, stretches skyward 60 floors — a whopping 778 feet from an unassuming 50-foot wide lot currently occupied by two row-homes. We recently stopped by the site to see how things are coming along, and it looks like demolition has just started. Check out our survey and snaps of the project ahead. 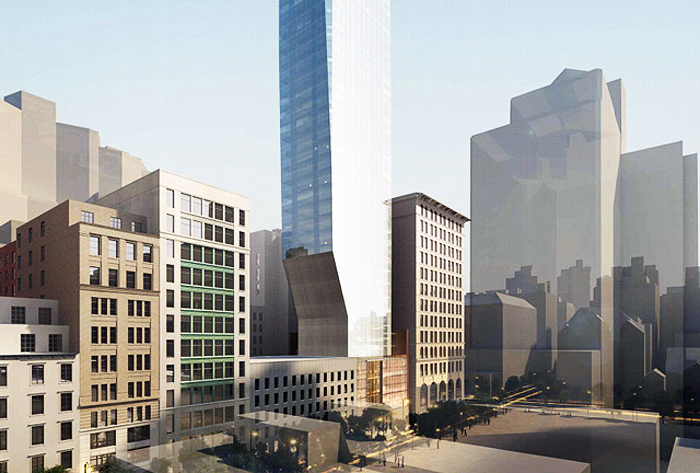 Amenities in the new supertall will include private storage, a gym, and a pool. A triplex penthouse on the 56th through 58th floors is sure to provide some of the most stunning views of the Downtown and Midtown skylines. In fact, Eichner’s tower is just the latest eruption around a hot spot of activity centered between Madison Square Park and the Empire State Building between Park and Sixth Avenues. Towers such as One Madison, The Beatrice, The Continental, and Chelsea Stratus are among many of the recent projects bringing the Midtown and Downtown skylines closer together. However, the possibility of the two ranges merging anytime soon remains unlikely due to restrictive zoning, height limits, and historic districts between the two. But that doesn’t mean that these new constructions aren’t vying to dominate their blocks. With the scarcity of developable land in Manhattan and the incredible prices being paid for condominiums, an emerging typology of lithe condo towers containing only a handful of sprawling high-ceilinged units is becoming the norm in prime residential areas. Record sale prices such as Rupert Murdoch’s recent closing of a four-floor penthouse at One Madison at nearly $5,500 per square foot, allow the costly engineering and zoning maneuvers of these spires to become feasible. Eichner’s project in particular accumulates air rights from neighboring properties to augment its size, and cantilevers over two neighboring properties to the east and west to create a more economical floorplate. 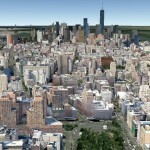 Air rights from eight adjacent lots to the west and north, including from the assemblage of One Madison itself, are absorbed into the project, growing it to 372,000-square-feet. Eichner reportedly spent more than $100 million to assemble the site. 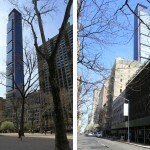 The tower will rise midblock on a stately tree-lined stretch of East 22nd Street between Park Avenue South and Broadway. 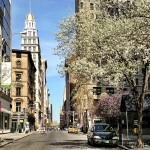 The street is beautifully framed by the Flatiron and Sohmer Piano buildings to the west — two towering wonder-skyscrapers in their own right. 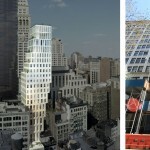 Related Companies’ One Madison rises over Madison Square Park. 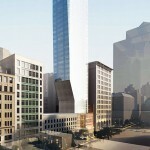 Eichner’s tower will will be set behind One to the east, on the same block. The new tower will rise 150 feet higher. 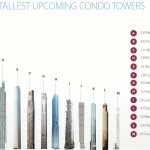 CityRealty’s compilation of New York’s upcoming sky-high residential towers. Zoning Lot Diagram from NYC Department of Buildings. Proposed tower shaded in grey. 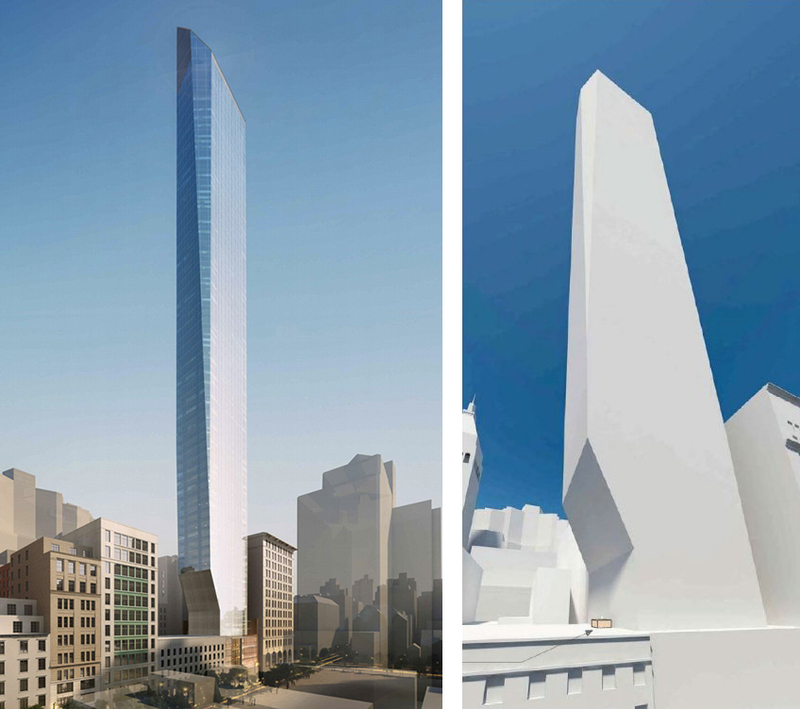 On the western-most lot Eichner purchased air rights from the former developers of One Madison, who planned to cantilever a 22-story tower designed by Rem Koolhaas. 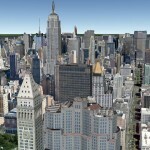 Amazingly, the tower was to stretch past One Madison to gain views of Madison Square Park and beyond. 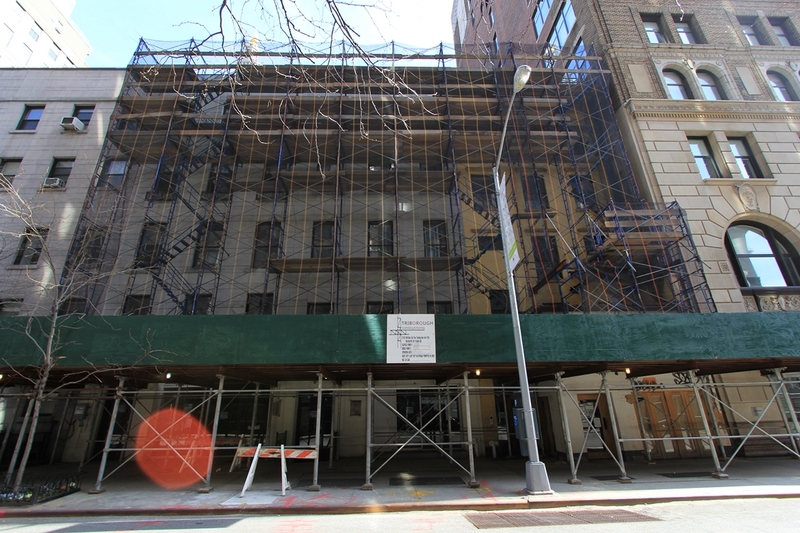 The project foundered with the recession but now holds a 6-story annex to One Madison. 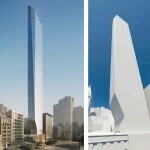 As illustrated in the image to the left, you’ll see Slazer Group’s unbuilt cantilevering tower designed by Rem Koolhaas. 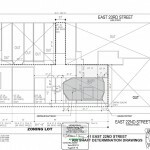 Some of the unused development rights of the at 23 East 22nd project will be incorporated into 43 East 22nd. 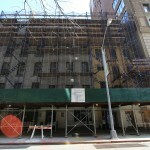 To the right, you’ll see Related Comapanies’ annex to One Madison is wrapping up construction at 23 East 22nd. Potential top-floor view from 43 West 22nd looking towards Midtown. One Madison and Metropolitan Life Building are down below. 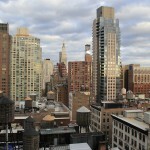 South of the new residential towers near Madison Square.